As part of LGBT month Cayce at Fighting Dreamer has challenged us tocreate something LGBT themed. 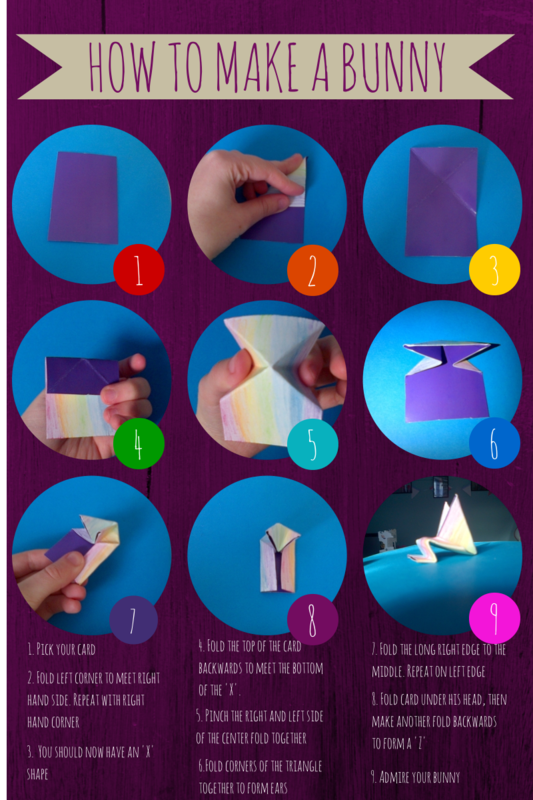 Well, the only thing I’m good at making is origami bunnies so I decided to make a rainbow bunny and show you lovely people how you can make your own cute little friend. All you need is a rectangular piece of card, I usually cut it down to the size of a business card. 1) Race a friend to see who can hop their bunny to the finish line first. 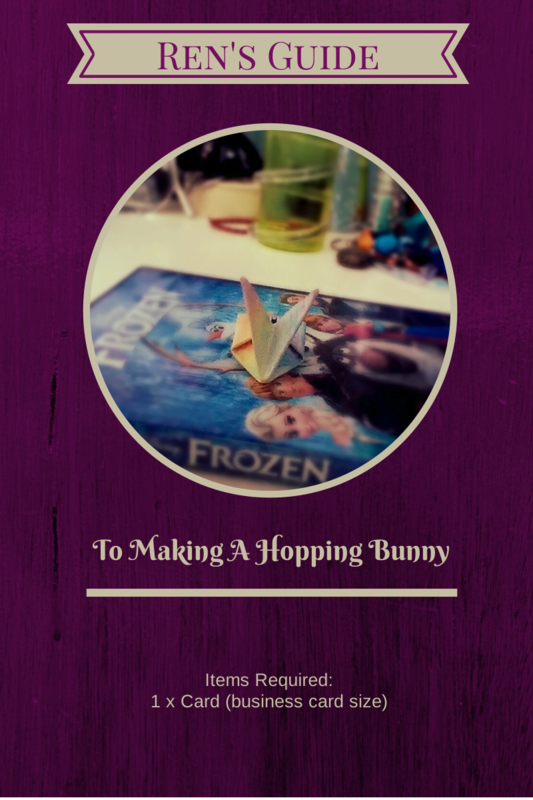 2) Challenge your friends to see whose bunny can hop the farthest. 3) Create an army of rainbow bunnies and take over the world!